You are here: Home / News / New Book The Art of Hurling: Insights into Success from the Managers reveals what it takes to make a winning hurling team. 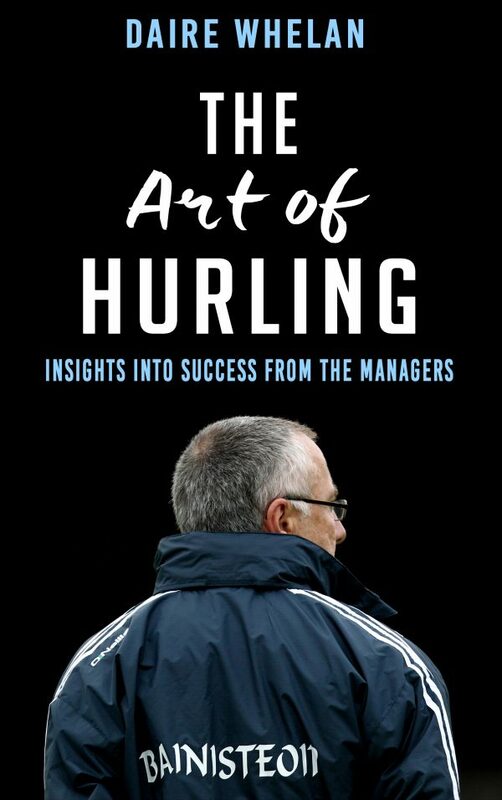 New Book The Art of Hurling: Insights into Success from the Managers reveals what it takes to make a winning hurling team. In The Art of Hurling: Insights into Success from the Managers acclaimed sportswriter Daire Whelan talks to some of the most successful intercounty managers of the last forty years. These guardians of the game speak candidly about their experiences, their often fiery and controversial views on the state of the modern game and the qualities needed to perfect the art of hurling. How are some hurling managers able to transform losing teams to All-Ireland champions in a short time? What is it about their philosophies and beliefs that makes them unique and successful? What are their thoughts on the future of hurling in this period of unprecedented focus on the game and its development? Daire Whelan uncovers the ideas and methods tracing the evolution of hurling managers from the 1970s up to the present day, he has spoken to some of the game’s most enlightened thinkers, including Eamon O’Shea, Anthony Daly, Justin McCarthy, Eamonn Cregan, John Allen, Diarmuid Healy and Terence ‘Sambo’ McNaughton; managers who won All-Irelands or provincial titles in unique circumstances, often ending decades-long losing streaks and usually bringing success within a season or two. The interviews provide an insight into the traits and techniques of some of the greatest hurling managers. Published by Mercier Press, The Art of Hurling is available nationwide from 25 October, RRP €16.99. Daire Whelan is an award-winning producer, journalist and author. He has been launch editor of JOE.ie, producer of Off The Ball, weekend editor at Newstalk and producer of RTÉ’s Drivetime Sport. His previous books have been about the League of Ireland, Dublin GAA and Gaelic football managers. He was shortlisted for the Bord Gáis Sports Book of the Year (2016) for Donal Lenihan: My Life in Rugby.